When it comes to interior design, it’s all in the detail, which is why you should consider adding tufted upholstery to your look. Be it a blind tufted sofa or a button tufted ottoman, this is a detail that will lift any space from average to opulent. Add a touch of history to your home with this upholstery detail that’s remained popular through several centuries. It’s an upholstery style that became widely popular in the 18th Century during the industrial boom. New-fangled methods of upholstery allowed for more creativity, and faster and cheaper production that was able to service the increasing demand. Initially, the tufted detail was simply a way to anchor the fabric, and may also have been a method used to hold the stuffing of an armchair or sofa in place more effectively. However, over time it came to be associated with comfort and luxury. By the 19th Century, the method had become a fashion, and tufted furniture is now synonymous with the Victorian Era. While it began as a traditional detail on sofas, the tufted look may now extend to a variety of furniture pieces. Not only does this detail immediately offer a luxurious feel, it also creates understated pattern and texture to help create more interest in a space. This style of tufting, in which each tuft is sewn in a regular formation to resemble repetitive diamond pattern, is the most traditional. It is also associated with chic interiors and is often used with more luxurious fabrics such as velvet or silk. Using leather with diamond tufting offers up a more masculine finish. 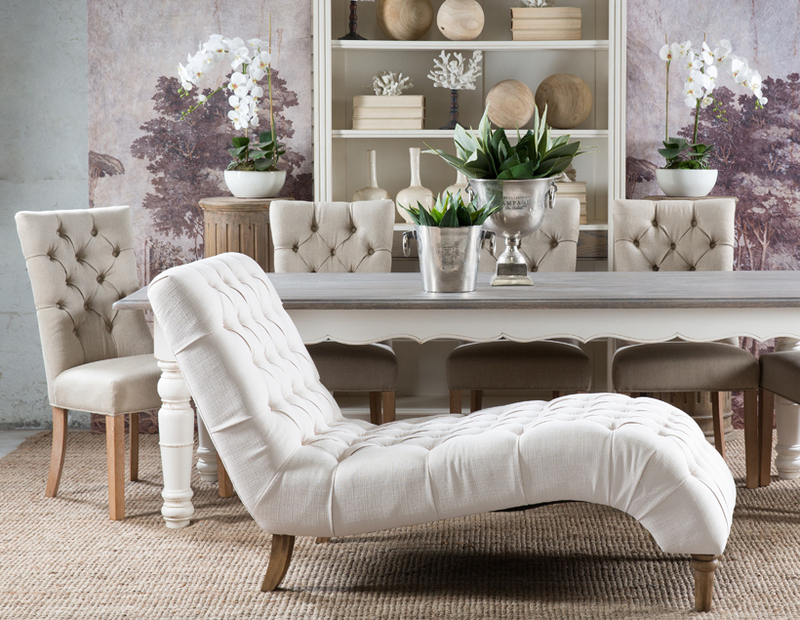 Diamond tufting added to a modern design, as with our Florence lounger, gives important but subtle texture. In this style, the buttons are sewn in a uniform way to resemble a square pattern. While not as ornate as diamond tufting, buttoned grid tufting offers up a more toned down version and is also strongly traditional. The Cambridge sofa is a great example of this style. Lose the buttons and you achieve a quilted look to upholstery. The simplicity of this method lends itself to a modern look as with our Bentley sofa. Play around with fabric colour to really enliven a space using this tufting style. Whether you use the look in your lounge, dining room, bedroom or even your bathroom, tufted furniture will help to uplift the interior. 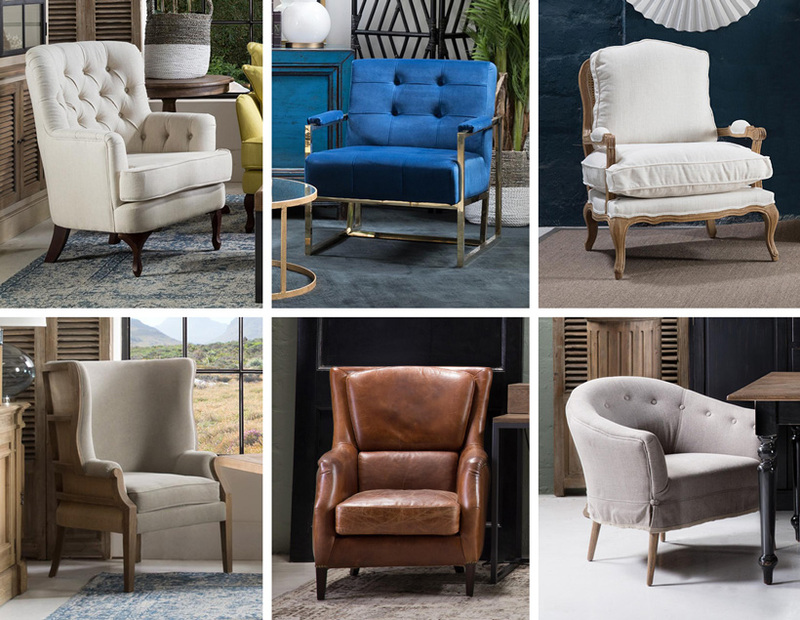 What’s your upholstered chair style?